Dan is the global director of Workplace Innovation for Accenture. When he joined Accenture in 1998, he initially supported and implemented new workplace concepts for the company’s North and South American offices. But that has grown to become a global initiative; today, he’s responsible for strategies that serve more than 50 countries in 450 locations – and 18 million square feet. Through 2011, Dan and his team focused on creating and implementing a progressive new global workplace strategy to meet a workforce that’s 65 percent Generation Y. 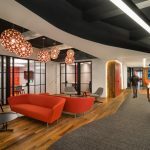 They included new options so employees could choose where to work, which enables Accenture to reduce real estate, energy costs, and its carbon footprint. The Workplace team has aligned with technology, HR and human capital, and long-term business strategies to reduce operating costs by nearly 50 percent, which helps fuel growth in emerging markets. Today, Dan leads the ongoing research, definition, and introduction of efficient products and processes that enable Accenture’s people to best serve their clients. His team strives to be a standard bearer for workplace thought leadership, operations, and tools. Event information on WORKTECH 12: West Coast. I already read about how his team is working on the development of a new strategy that will bring a lot of benefits.